When Sabrina Bell taps Leith Jordan for a crash course in conquering the great Alaskan outdoors, he figures he’s on safe ground. They’re polar opposites and his spectacular home state’s just a pit stop for the hotshot fashionista. So no one’s more surprised than Leith when he starts falling for her. 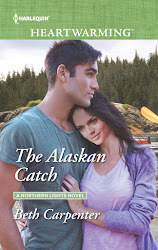 Now he’s a man with a plan: get Sabrina to fall in love with Alaska…and, hopefully, with him. 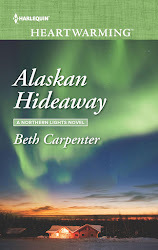 Another great book in the Northern Lights series! I really enjoyed the easy friendship that developed between Leith and Sabrina, although I didn't understand how they could keep their relationship casual once the kissing started. 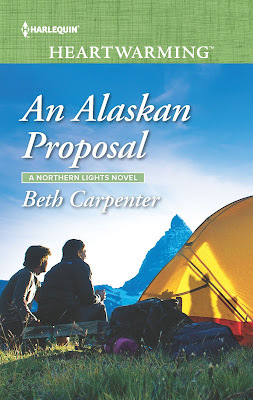 I loved the Alaskan setting and all the camping and exploring described. It made me want to pack up and escape to the mountains! Even though Sabrina begins inexperienced in the outdoors and more comfortable with high fashion, her genuine personality shone through as she was determined to gain the experience she needed to succeed. 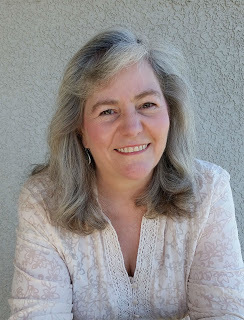 Her strength and compassion attracted Leith and even though he had issues with trust in committed relationships, he also valued the light and warmth she added to his life. The two dogs Tal and Boomer were full of personality and showed another example of how opposites could complement each other. There were some cameos of the characters from the previous books in the series which was fun, and I also liked Leith's sister Volta and niece Emma. A great cast of characters made this a well-rounded story. 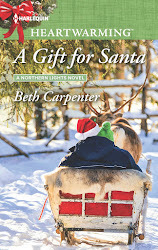 when Beth Carpenter was a little girl, she read everything she could get her hands on, and entertained herself on the school bus by making up stories in her head. Not a lot has changed. She's still consuming books like M&Ms, and spends her days creating happily-ever-afters for her imaginary friends. 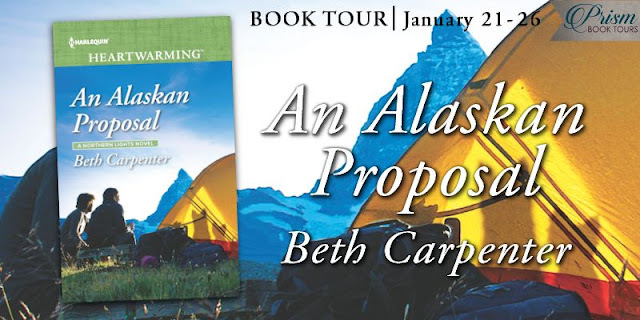 She lives in Alaska and Arizona with her husband and an aggressively affectionate fifty-pound lap dog. She loves to hear from readers. 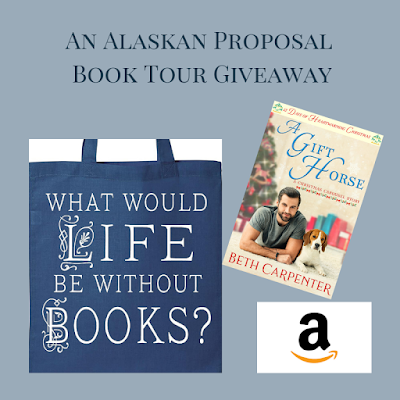 Prize open to US continental residents - If winner doesn’t have a US mailing address, the alternate prize is a $25 Amazon card and two e-books (A GIFT HORSE and THE ALASKAN CATCH).